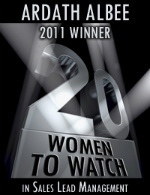 I hope you'll continue to read and enjoy the blog as a helpful resource. To do so, please sign up for Content News & Views subscription in the sidebar of the new blog. It's simply time to consolidate my consultancy, my book website and my blog into one web property. The addition of new hands-on courses in Q2 2015 made it even more important to me. If you'd like to keep up with what's happening with those, you can sign up here. Thanks very much for joining me in this ride! When I go online to take a look to offer feedback and advice, I usually see decent content. What I don’t see is any strategic plan for orchestrating engagement with prospects and customers. I don’t see any attempt at relationship building. Mostly, I see areas for improvement in relevance, context, and connection. This is because companies tend to talk about what they know best—their products. Even when marketers think they’re developing content for buyers, they’re not—not really. The problem remains that they don’t know their buyers well enough to provide the level of valuable information mixed with an emotional connection that buyers are searching for. Quite often, they also don’t know their customers very well. But compounding the issue is a one-off mind-set that inhibits storytelling over the length of the buying process. Rectifying these issues gets to the heart of context and relevance. 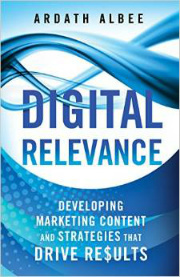 I wrote Digital Relevance for the marketers, corporate communications professionals, consultants, and entrepreneurs faced with the need to build relationships with elusive buyers whose context can change in a nanosecond. Technology was billed as the answer. But it’s only confused the issue because the strategy is lacking. Marketing has changed—and changed fast—leaving marketers adrift without the foundation, mind-set, and skills they need to master the dynamics of digital engagement when faced with shrinking attention spans and the increasing noise and velocity of content publishing. Meanwhile, the pressure for accountability builds every day with marketers unsure how to prove what they do matters. Yet matter it does. Marketers, to be successful, must implement highly personalized and integrated programs today in channels and manners they haven’t ever used before. 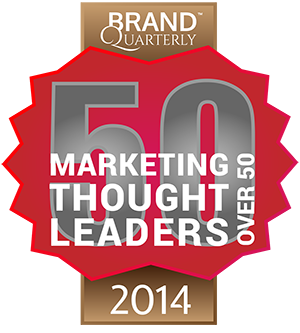 The breadth of skills required to succeed in marketing has increased dramatically. For marketers used to coordinating the activities of external agencies and focusing on one stand-alone campaign at a time, a large gap in competency has been exposed. Filling this gap will require that marketers develop customer-oriented communications, identify the distinct value that differentiates their company, make the shift from one-off communications to a continuum approach, and ensure that data and metrics are used to relate their programs to the achievement of business objectives. More than $40 billion is spent globally each year producing and using custom content in marketing programs. But how much of that money is bringing quantifiable return on investment? How long will companies continue to spend on marketing programs that don’t help achieve business objectives? Publishing content without a strategy isn’t moving the needle. Time, effort, and money are flushed away without a quantifiable impact on business performance. This is a serious problem for marketers. Their companies expect results. Their jobs are on the line. If not now, then soon. Many of the marketers with whom I speak are concerned that their marketing isn’t as effective as it could be. They know that buyers and customers prefer digital information and communications, but they’re not confident in how to go about creating relevant content successfully. And, they’re deeply concerned that they won’t be able to reach their customers as the competition for attention online increases. Much of the marketing content I see lacks the personalization and targeting that is needed to do more than engage prospects or customers briefly, in the immediate moment. This just won’t do. Buyers have changed. They’re demanding, exacting, and averse to risk. They want confident vendors that bring more to the table than their products. Buyers need strategic partners that bring expertise they don’t have to solve problems that are becoming ever more complex. Marketers have the knowledge to do so. They just need to match it with the skills required to create strategies and approaches that will result in successful execution tied to business objectives. Creating content your audiences find useful has been the rallying cry for content marketing for at least the last five years. Quality content can be found in every medium and channel. It’s no longer enough. Business-to-business (B2B) buyers crave meaning and connection—not just utility or value. That’s a distinction that raises the bar for relevance and what marketers must achieve to create sustainable growth for their companies in the future. Given the ease of publishing, marketers have gotten themselves into a bit of a pickle with buyers. They’ve published so much content without a strategy or the ability to speak to what matters to target markets that prospective buyers continue not to trust content produced by vendors. Buyers think vendor content is biased and lacking substantiation for the assertions it makes. Therefore they trust it less, just when we need for them to trust it more. There is a silver lining. Buyers want to buy. They want to do so faster than they do now. They’re also solving problems they’ve never had to solve before. Your buyers know they need help finding and deploying the right solutions. But they’re stymied by the information they find online that doesn’t address what they need. They’re expending so much effort to make the right decision that it’s taking longer, involving more stakeholders, and introducing risk that keeps them from making a choice. And the inconsistency they experience across channels isn’t helping. Marketers know relevance is critical, but they need to understand what it truly means in action and how to accomplish it. Digital Relevance will arm marketers with a comprehensive approach to learn the skills they need to correct these issues and iterate their way to being so damn relevant that their audiences can’t help but engage with them for the expertise needed to solve their problems. With this competency, they’ll help their companies reverse the credibility gap and help their buyers get on the fast track to problem resolution by creating better connections with depth of meaning. They’ll be equipped to master the contributions that content marketing can make in any digital situation, with any stakeholders, be they customers, buyers, sales teams, industries, or the executive board. *Note: This is an excerpt from the book Digital Relevance, Copyright 2015, Marketing Interactions, Inc. If reproduced, it must be used as-is, without edits or revisions of any kind. B2B marketers know there are a number of people involved in a complex buying decision. What often goes overlooked is understanding not only who the marketing programs can reach and engage but how content gets shared among the group. It's common sense that the more people within an organization your content gains exposure with, the more opportunity your ideas and expertise has to gain sway. While the study arrived at definitions for 6 "personas" - two for each type of researcher, influencer and decision maker - for how people source content and what types they favor, the problem I have with establishing "grazers" or "authority leaders" is that they're nearly impossible to identify through online behavior in a way that's meaningful. Present ideas that are relevant to one buyer persona along with why another persona in the group would find the idea valuable. Prompts can be subtle influencers that become conversation starters and promote content sharing. Make sure to do this without breaking the context of your content. Statements along the lines of: "While [persona 1 - your target audience] will find value in this capability, [persona 2] will appreciate this outcome as it helps them to achieve objective X." Hat tip to Shelly Lucas (@pisarose) for this term. While marketers tend to focus on pre-sales content that builds awareness and informs short-list selection, they need to focus on an asset balance that addresses all stages of the continuum buying experience. People on the buying committee will come in and out of the process depending on how the decision will impact them, their role and their workflows. Different levels of depth and formats of content are more valuable at different times. By relegating marketing content to the pre-sales or even to the very earliest stages of the buying process, we're leaving a lot of opportunity to impact the decision up for grabs with our competitors. Map the entire process for each persona, as well as the overlays that may drive further interaction. For example, in the case above, if Persona 2 becomes interested and comes looking for more about how your solution can help her gain the outcome mentioned in the content that was shared with her, will you have it? Will your salesperson know where to find it if she asks the question? 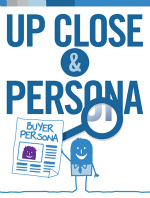 During the development of buyer personas is when you find out how easily you'll be able to reach a specific persona. In every project I work on, one or more of the people marketing needs to engage and influence for sales conversations isn't an easy target. By figuring out who invites the most open access, you can then tailor your strategy for how to ensure your content is spreadable once access has been granted. Think of it as a Trojan Horse approach. The whole point is to get your company's ideas and expertise used to set the agenda for how to best solve the problem. And it is doable. It just takes a little finesse. Shameless plug: One of the main concepts of my new book, Digital Relevance is The Continuum Experience. If you'd really like to understand its value, the book will help. It comes out on January 6th. I keep seeing that statistic - you know - the one that talks about how far through the buying process prospects are before they talk to salespeople. It's flawed. Prospects don't care if they're interacting with marketing or sales, they care about the quality of the conversation or interaction and that it's giving them what they need. Salespeople are perfectly capable of using the tools available today to engage with prospects across all stages of the buying process. And they should be competent at all of those conversations. Marketers can facilitate interactions by sharing the strategic problem-to-solution story across the continuum of the buying process to support both buyers and salespeople in having more relevant conversations. For some reason, we haven't embraced these realities collaboratively. What would happen if both marketers and salespeople were so damn relevant that there was no distinction between the disciplines? In other words - if every interaction with a buyer is based on context and relevance, does it really matter if it's initiated or extended by marketing or by sales? Both functions are essentially focused on the same end goal - to drive revenues. But, most of the time, we act like we're on two different planets. I know that marketers may be thinking, hey, wait a minute...marketing doesn't close sales for complex products. That's not our job! Or, if you're on the sales side, you could be thinking - there's no way I'm creating marketing content and running campaigns. SO not my job! Got it. But you're in the weeds. You're not looking at the coordination and collaboration that can end this artificial line in the sand that we've made up to divide the two sides of the B2B buying process. It's not about the work flows, it's about the interactions. 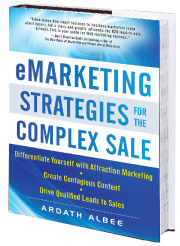 Marketing and Sales need to jointly take responsibilty for the buying process. There's no wall in the middle - or even two thirds of the way through. We need to start looking at the buying process as a continuous experience that sometimes plays to the strengths of marketing and other times to those of the sales team. Consistency of messaging and story across all channels and cross-functionally must become our foundation. When we're all on the same page, it truly makes the label of marketing or sales irrelevant. Even better, it enables growth by building credibility. And that results in trust that earns more conversations. When a buyer is working to solve a problem or meet an objective, he or she needs to gather enough information that they are confident about making a decision that will not adversely impact their careers. They need a level of certainty that the solution will do what it promises and that it's necessary to go outside the company to get it. They need the ammunition to build the case, gain consensus from the others involved with consideration to each unique perspective and the ability to secure budget. We, as marketers and salespeople, must help them do all of this. And it won't happen when marketers push out content "How-to" articles that are too tactical for buyers to learn what they need to know or when sales calls after a white paper download to try to pitch a demo. Every company has a story that distills the distinct value they provide that sets them apart from competitors. Why aren't more of us finding it and making it the foundational pivot point for increasing our relevance to and engagement with buyers and influencers? Rather than marketing programs or sales processes, we should be focused on buyer initiatives first and make them the drivers for what we do. When we can take this approach, then we're prepared to interact competently with buyers regardless of where they are in the buying process. But, we'll also be able to identify that place and help to address the unmet needs that help them decide to embrace change and trust you to help them. That's because whether we're marketers or salespeople, we'll be able to see the big picture from the buyer's perspective. I was watching the video for the second roundtable video that I participated in at Content Marketing World and Nick Panayi from CSC said, "the funnel is more like a pinball machine, with leads bouncing everywhere" - I'm not sure that's verbatim, so go watch it. Anyway it got me to thinking about one of the big concepts in my next book that I call The Continuum Experience. It's actually a continuation or extension of the concept of natural nurturing that I presented in my first book a few years back. Essentially the gist is that the funnel has constraints as a process of elimination based on the limited set of prospects in your database. A bunch go in at the top and a few come out the bottom. If you think about it, it's like setting yourself up for failure. Instead, if marketers are willing to look at nurturing as a function that works both with and outside of your database, you then have a construct based on infinite potential–rather than reduced possibilities. The other thing that the continuum experience does is to eliminate standalone, start and stop campaigns that just halt momentum in its tracks. Why do we ever want to do that? We segment our activities to address each one separately. But we don't need to. Who's to say that a white paper that's being used specifically for lead gen isn't just as applicable to a prospect in your database and nurture program that hasn't seen that information? What if a prospect in your database and nurturing programs stumbles upon a blog post that fills in a key gap that was holding him back from taking the next step? What if your salesperson is in a great conversation when a question comes up and she can share just the right content to help the prospect keep moving? Even if it's a piece designated to an early-stage nurture program and not publically available. In any of these situations, should we be sorry that it happened? Or should we be facilitating these types of occurrences as a matter of course? I'm voting for the latter. But the only way this works is if our content and communications are consistent and relevant across all the channels we and our audiences use. And it means that we need to be sharing all the pieces of the story across those channels. We can't just reserve the good stuff for the nurture programs that are only shared with those in our database. Well, you can, but why would you want to limit potential? I would stipulate that the pinball thing has always been there, only we now have the technology to see it happening as we engage with prospects in various channels. So what does it take to adopt The Continuum Experience as a new construct for nurturing? You can wait for my new book, Digital Relevance, to come out in January, or you can get a preview deep dive by listening to my session on PowerViews Live with Dan McDade on demand through the link below. Dan and I discuss the above points and how personas can help you to speed up the buying process through alignment and progression strategies that resonate with buyers. If you're feeling the pinball fatigue, maybe it's time to change your perspective about nurturing. It's really about smart marketing that can help you accomplish a variety of tasks in an integrated way that will resonate with more of your prospects.